Fish oil has been touted for years as the best companion of a healthy heart due to its omega-3 content, but now there is alternative, krill oil. The word krill means ‘whale food' in the Norwegian language. The Krill is a shrimp-like crustacean living in the northern ice cold waters of the Antarctic. The oil is extracted at a production plant, after the ‘catch' has been transported in freezing temperatures from the ocean. This is a much safer way of getting the oil than, compared to the way fish oil is obtained. You can read more about this in our article about the potential side effects of krill oil. Krill feed entirely on phytoplanekton and grow only one to six centimeters in length. They are almost at the bottom of the food chain, and are the main food source of whales. Some fish eat them, as do seals, penguins and squid. What's in Krill Oil That Helps Fight Bad Cholesterol? Krill oil delivers the same omega-3 fatty acids eicosapentaenoic acid (EPA) and dicosahexaenoic acid (DHA) as fish oil, but the omega-3 fats in krill offer a far superior delivery system – the body absorbs more of the omega-3 fats from krill quicker and does not waste any. The omega-3's from fish oil does not have these crucial qualities. Krill oil also contains some omega-6 fatty acids, and compounds known as phospholipids (already present in the body) which offer a unique protective shield to cells in the blood stream. Krill oil also contains a carotenoid family antioxidant, called astaxanthin. While numerous grains, fruits, and vegetables also have sufficient supplies of fatty acids, krill oil is a particularly rich source. Carotenoids can also be obtained from different foods, principally orange/yellow and dark green fruits and veggies, and some are converted to vitamin A.
Astaxanthin is a strong antioxidant that gives krill, and other crustaceans, their pinkish color. It aids the body in removing the free radicals that surround us in the air, which are known to damage cells and be factor in a number of ailments. 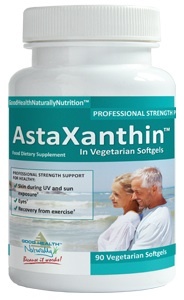 The right dosage of astaxanthin is also beneficial for its anti-aging properties. It is believed that it is this antioxidant that is responsible for reducing blood fats and elevating the good cholesterol levels (1). The oil has risen to worldly fame, not only because it aids in reducing cholesterol. But it is also associated with reduction in arthritic joint pain, as well as helping to relieve the physical and emotional symptoms of premenstrual syndrome (PMS), reducing the symptoms of depression, anxiety and stress. There has also been positive studies on krill oils effects on the production of cancer cells in humans. Importantly, it is the Antarctic krill (Euphausia superba) whose oil provides all the benefits and not just any of the 85 species found in the world. 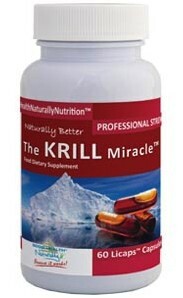 So How Good is Krill Oil? 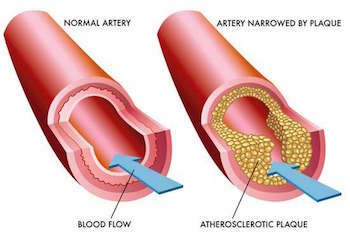 A few studies have done on krill oil, and in one placebo-controlled, double-blind study in particular, 120 people having elevated cholesterol levels were given supplements of krill oil, fish oil, and there was also a placebo test group. Over a three month period, it was discovered that depending on the body mass of the test subject, and the group they were in, a 1,000mg to 3,000mg daily dose of krill oil, improved every aspect of their cholesterol profile in comparison to the placebo test group subjects, and it was found to be more successful than fish oil. Additionally, the krill oil group also showed reduced blood sugar levels (2). A twelve week Canadian study of 120 people ranging between the ages of 25 to 75, found krill oil to be more beneficial than fish oil for reducing overall cholesterol levels. It brought down the LDL bad cholesterol and triglyceride levels and simultaneously increased the HDL good cholesterol levels. A 1,000mg to 1,500mg dose of krill oil was better at bringing down LDL and triglyceride levels than three times higher dose of fish oil. The research further discovered that fish oil stops working at higher doses, while krill oil at doses of more than three grams still continues to work. It is theorized that krill oil's unique molecular structure gives it its ‘super' capabilities (3). Major portions of DHA and EPA fatty acids in krill oil are joined to phospholipids. The properties of phospholipids are such that they offer a kind of ‘rain-coat' protection for cells, to prevent them dispersing in the blood stream. The cells that phospholipids cannot reach become vulnerable to attack from the every day, normal actions and stresses of ‘life' and are open to attack by micro-infections.